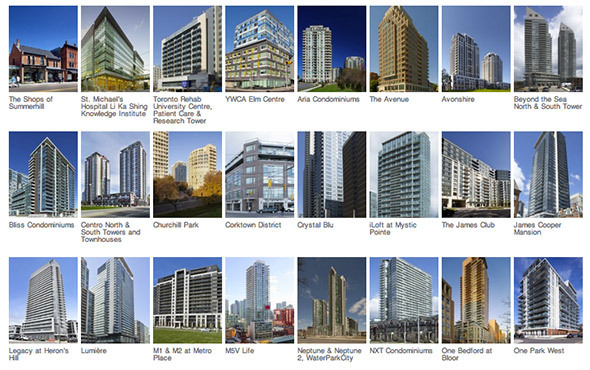 Upon my first perusal of the 2012 PUG nominees for Toronto architecture, I can't escape a feeling of dÃ©jÃ vu. Despite the presence of some excellent buildings, taken as a whole, the crop from 2011 seems much like it did the year before: a bit underwhelming. 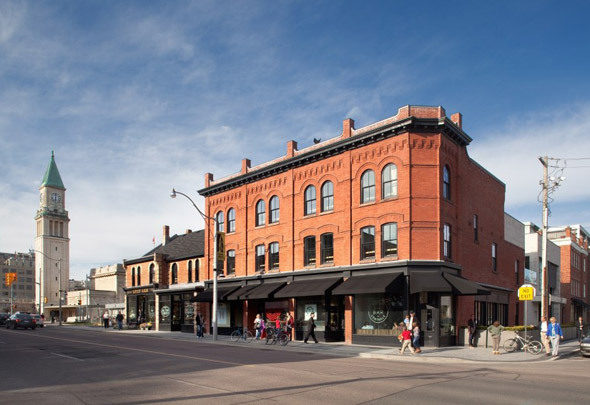 While there are some significant projects — namely the restored Shops of Summerhill, the Li Ka Shing Knowledge Institute, and perhaps the understated but elegant Ritz Carlton — I'd once again make the argument that the list lacks a real superstar. What would constitute a superstar? I'm thinking of past winners like the National Ballet Scool, the Royal Conservatory of Music, or even the controversial ROM addition, which took an honourable mention in 2008. Is there a building amongst this group that stacks up against these? My inclination is to say no, though I'd be willing to hear an argument to the contrary. 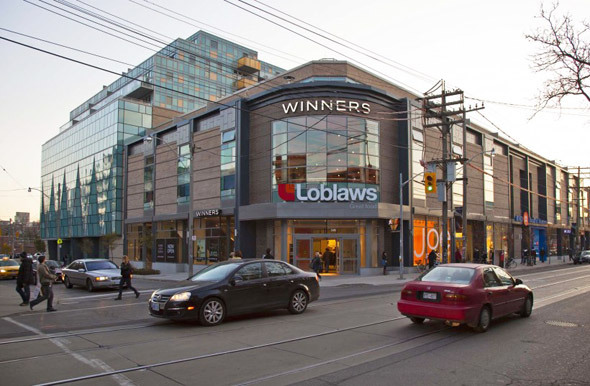 I did pretty well with predictions last year, but aside from the commercial category of the Paul Oberman Adaptive Reuse award — which will almost surely go to the Shops of Summerhill (a project with the late developer's fingerprints all over it) — I'm less confident in my ability to predict which nominees will take home the People's Choice awards this year. Certainly the above mentioned buildings will be in the running, as will projects like the PwC Tower and the Centre for Green Cities at the Brick Works. In the ugly department, I suspect the unnamed building at the southwest corner of Queen and Portland will attract its fair share of "hate it" votes — though the mucus-coloured Roncesvalles Lofts might also get some attention in the residential department. For all the mediocre buildings to go up this year, there aren't, however, too many that you could call outright eyesores.